What Qualifies as Negligent Security and Is the Company Legally Responsible for Injuries? Security is an issue for everyone. No one wants to feel unsafe, but what can a person do if a company provides negligent security? While today’s technology does make it possible to obtain all of life’s necessities from home, few would enjoy living this way, and most people actively seek opportunities to engage with the outside world. This often involves frequenting local businesses open to the public. These businesses have a duty to protect customers from harm, including securing the property from dangers posed by other customers or someone from the outside. Further, customers expect that stores and other businesses will take whatever steps are necessary to protect them, which is why many places have cameras, security guards, extra lighting or restricted entry. 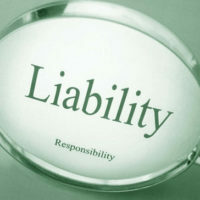 A claim of legal liability against a property owner arises when a third party injures a customer or visitor due to the owner’s inadequate security measures. Usually, these acts by third parties are of a criminal nature, and the resulting injuries can be devastating. A recently decided negligent security liability case in Miami arose out of catastrophic injuries a woman suffered from being hit in the face with a heavy flashlight as she passed through a drunken fight between three men exiting a parking garage. Anyone can be the unfortunate victim of such an act, and this reality underlines the importance of knowing a business’s responsibility to protect those legally on their property from others with nefarious purposes. a customer or visitor was injured as a result. Whether criminal activity was reasonably foreseeable is usually the big issue in negligent security cases, and is typically based on the occurrence of similar incidents in or around the business in the past. Often, this analysis will involve examining crime statistics, the type and amount of security features employed at the time of the injury, and how other businesses in the vicinity secured their premises. a clear view from the outside of the cash register and sale counter. In addition, enhanced security measures are required at locations with histories of violent crime. If these security measures are lacking or improperly maintained, this exception may not apply, giving an injured customer potential grounds to file a personal injury lawsuit. Being injured because a business chose not use the proper amount of security is traumatic, and probably could have been avoided. The Miami law firm of Pita Weber Del Prado knows how to build a winning case in these circumstances, and is available to evaluate the merits of your claim. Contact us for a free consultation.